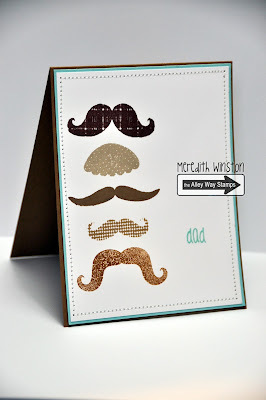 The Alley Way Stamps: Mustache Mania! Hi Friends!! Meredith here bringing you another creation that I made for Father's Day. This project features the awesome set Mustache Mania. I used multiple inks (Hero Arts, Distress and SU!) to create this clean and simple look. Hello! 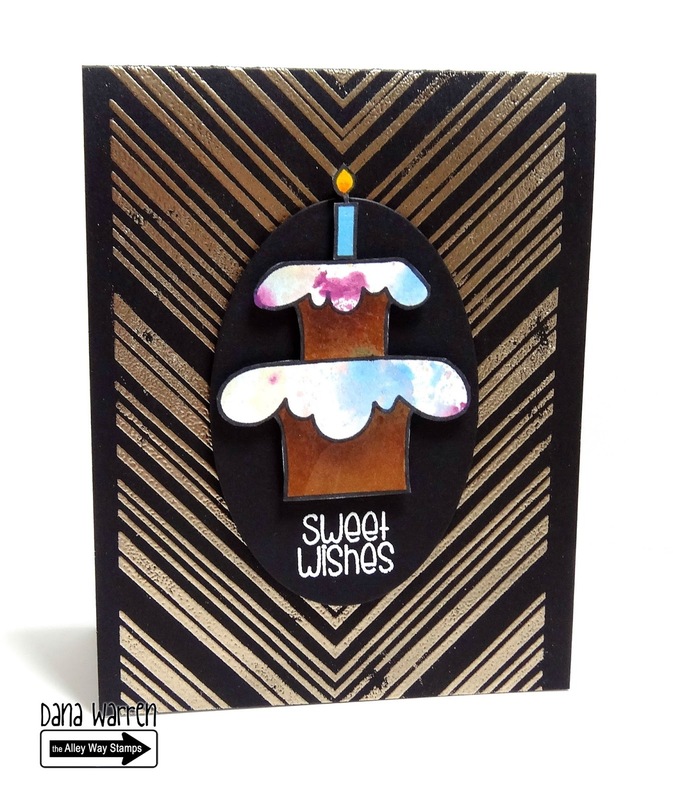 Dana here with a sweet Birthday card!! 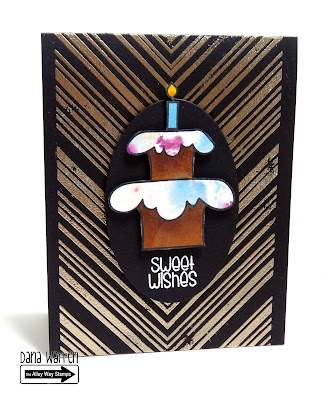 I used some left over watercolored pieces with the cake from the Slurp stamp set! I also used Line Upon Line for my background!! What fun cards! Love the mustache one! 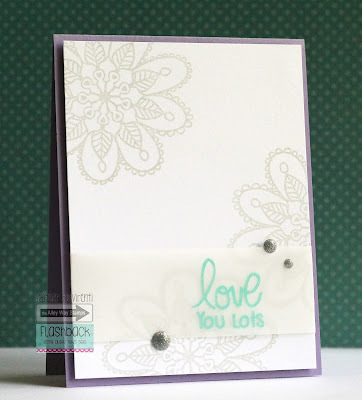 Fun, fun cards - each one so perfectly done and styled so well!! Love the moustache one - so perfect for a guy card!! The second one is so dynamic with those borders on the side!! And the third one is just so simple and yet so elegant! !